This Urban Decay pencil in Rockstar is a gem. I was lucky enough to be given this by the amazing Holly Arabella with an amazing beauty blog, so check her out here. I've used eyeliners by Urban Decay before, and have been very impressed. I thought this colour was gorgeous, a deep purpley brown with a lovely purple shine to it. I've used this colour a few times now, mostly to add a twist to the classic smokey eyes. Once set, this eyeliner is hard to budge. It stays put all night!! Unfortunately for me, I have oily eyelids and my eyes water a lot, so it's hard to find a decent eyeliner, and UD eyeliners have never failed me. At the end of a long day I sometimes see that it's smudged in the corner of my eyes, but that's fault to my forever watering eyes, but that aside, it's still one of the best eyeliners I've used. I absolutely love this eyeliner, and so glad I was given it. 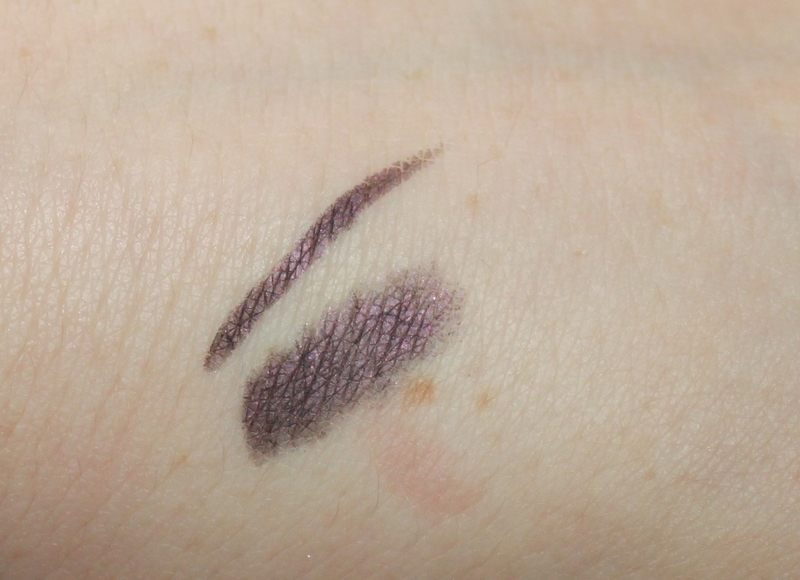 I've used it many times and I love the colour payoff and the wear it has, and for that I give this eyeliner a 8/10.